*Chills down to Zero degrees and lower. *Hygienic floor and wall surfaces. *Full size door with safety lock. *Household power. Single phase, 10 amps. *Food stays fresh & drinks stay cold  you can even store flowers in there. 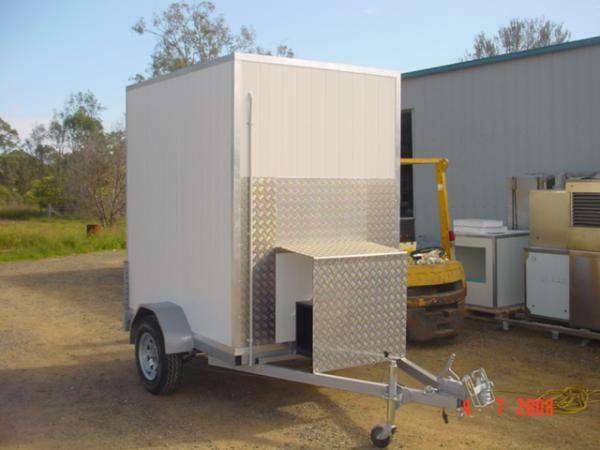 *The mobile cold room is also delivered with a 10 metres supply cable. *All mobile cold rooms are serviced regularly and maintained hygienically. *Deliveries done anywhere in S.A.
*Large range of sizes to suit your function. *Hire for a day, week, weekend or longer. Can you be without one? Please contact us for the hire price information or to order your cold room!